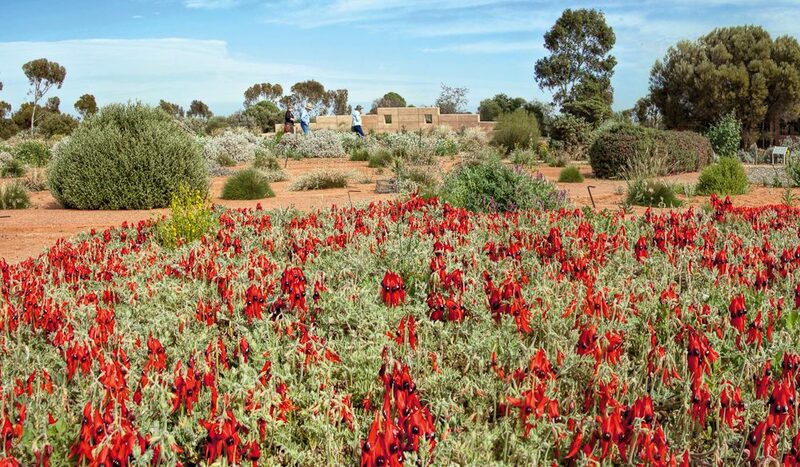 The sounds and scents of the outback: Australian Arid Lands Botanic Gardens, Port Augusta. Explore the beauty and diversity of Australia’s arid land plants on one of four walking tracks with spectacular views of the Flinders Ranges at the Australian Arid Lands Botanic Garden. On the Stuart Highway in Port Augusta, this unique, award-winning, 200-hectare, family friendly garden has free entry and a children’s animal discovery trail, as well as school holiday activities. The visitor centre is home to a very popular cafe, native plant sales and a gift shop, from where you can find out information about the garden and its plants. Drive-through caravan parking is available and dogs are welcome in the designated dog-on-leash area in the carpark. The garden is open all week and entry is free.